In 2014, I took an Illustration course where we spent the entire semester making a comic about history. 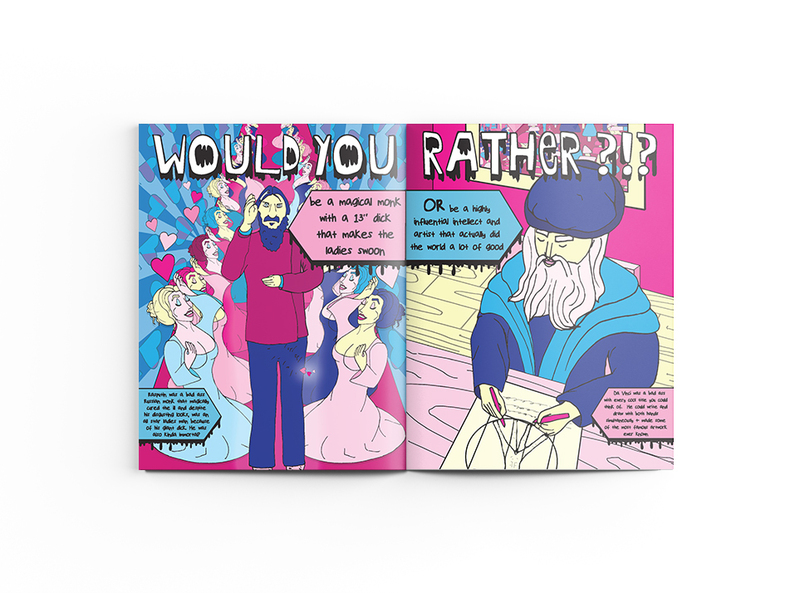 I chose to create a book of "would you rather" questions based on the weirdest, grossest historical facts I could find on the internet. I apologize in advanced.